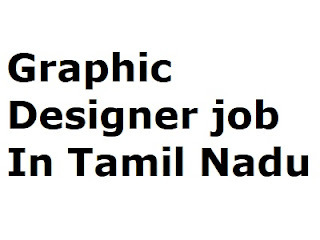 Today we are going to publish graphic designer job in Tamil nadu at kingtamil.com. Ashok Notebooks manufacturers need to hire professional graphic designer for full time. They want to design new books cover images with latest trends. Candidate must be familiar with photoshop, illustrator and indesign. Ashok Notebooks manufacturers is landing manufacturing company in salem, tamil nadu for books and notebooks manufacturers. In this article I am provide you all job details and company details after than I will give you 3 option for apply any graphic designer job to increase your chance for all types of job. This is a job role as a graphic designer in ashok notebook manufacturers company to create art work for products and promotional graphic materials at point of sale locations. 1) Be a quick learner & adopt to the environment. 2) Be organized & be able to maintain, handle design files professionally. 3) Revise artworks & make changes as per feedback. 4) Create only artworks that are required / can be used by the company. 5) Use only licensed artwork / work material. 6) Make sure the artworks fall inside the fixed guidelines. 7) Be punctual, finish artworks within the specified time limits. 8) As a graphic designer you will have to create print and based graphics everyday & sometimes web based. 1) Good knowledge about the imperial & metric system. 2) Efficiency in adobe photoshop, illustrator, indesign. 4) Knowledge in html5, css, adobe Dreamweaver would be an added advantage. 5) Knowledge in print design / effects would be an added advantage. 7) Previous experience as a graphic designer will be an added advantage. We will be provided proper training for creating print & web based graphics. Upon completion of training period, you will be awarded a full time job role depending on your performance. Other health & pension benefits will follow after being employed permanent in our company. Here all job details are complete now we are going for company details. Company Address:- No 70 & 71 ChinnaTirupathy Main Road, Near Jairam College, Salem-636 008. Here company details are complete now I am giving you 3 option for applying this job. How To Apply For Graphic Designer Job? Here we have 3 option for applying job, now choice is yours which option is best for you. In this option you have to send your resume (CV) to company mail id, before you will send you have to double check your resume information. Here you can direct call on company employee and book your interview time and date. This job is available on indeed so you can apply on there, but indeed take lots of time to arrange your interview you have to go with second option. because second option is very quick response provider option so you should to with this option. Note:- we take this job information from indeed, but here we are adding additional information about job and company and also more option for applying one single post.